A voyage to the Sub Antarctic Islands provides the perfect opportunity for bird watchers, wildlife photographers and nature lovers to observe in close-up the extraordinary density and variety of bird and marine life found on and around this scattering of remote islands lying to the south of New Zealand and Australia. 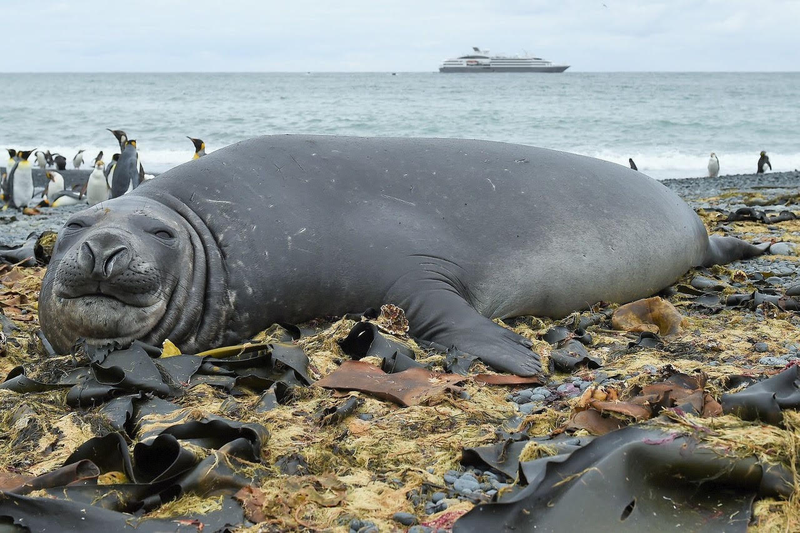 Strict restrictions on annual visitor numbers to the Sub Antarctic Islands apply, resulting in a mere trickle of tourists - a small fraction compared to the numbers of visitors to the Galapagos and even less than the numbers who scale Mt Everest each year. Protected by their remoteness these islands of impeccable natural beauty are breeding grounds for vast colonies of penguins and giant petrels, and home to pods of orcas, fur seals and sea lions. "There are few places I have ever encountered in my 20 years of remote area travels that impress as much as the Subs" says Expedition Leader Mick Fogg, veteran of over 300 expeditions (including over 20 just to the Sub Antarctic islands). "Isolation is the main attraction here, a protected realm where wildlife abounds. Whether it be the welcoming committee of thousands of penguins when we alight from our Zodiacs onto a black volcanic sand beach, or a swelling disturbance in the water that marks the emergence of an orca, savour the moment, for we will be right in the thick of things." "These photographs brilliantly capture examples of what we encountered last time and will surely whet the appetite of anyone interested in joining us onboard Le Laperouse for her inaugural Sub Antarctic voyage in February 2019." "To be launched in mid 2018, this purpose-built small luxury expedition ship with just 92 suites and staterooms all with balconies, will provide an exceptional 'base camp' for daily activities as we explore these remarkable islands in the company of the rest of our specialist Expedition Team," continued Mick. "This is an extraordinary voyage where every fiord and island we visit is UNESCO World Heritage classified. No wonder the 2018 expedition sold out some time ago, so I recommend quick action to secure space on this February 2019 Le Laperouse voyage." 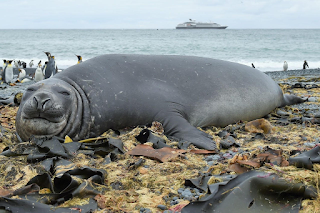 16 nights Sub Antarctic Islands voyage departs Dunedin 23 February 2019 bound for the famous Milford, Doubtful and Dusky Sounds and then on to The Snares and Auckland Islands and Australia's own Macquarie Island. This expedition includes Campbell, Antipodes and Bounty Islands en-route returning to Dunedin. LE LAPEROUSE, 17 days / 16 nights. 25% Ponant Bonus. *Ponant Bonus fare in AUD per person, based on a double occupancy, including port taxes, yield managed, correct at time of writing – 16/11/17. Refer to au.ponant.com for T&Cs. Fare includes accommodation onboard as booked, all meals onboard, selected wines, beers and spirits, Open Bar, 24 hour room service, Zodiac exploration and shore excursions, boot hire, lectures and presentations. Or email reservations.aus@ponant.com to request your copy of Luxury Expeditions.